In this Post: Making a living from your homestead can be challenging! Learn how we make money online from our homestead- enough for a full time income! We have lived this homesteading life for quite awhile. From the containers of herbs and veggies on the back deck of a rented townhouse. To the backyard garden, chickens, and goats on just over an acre in a subdivision. To our current nearly 10 acre farm- with a lot more gardens and livestock. Through all that we’ve always had a dream of being self-sufficient. We dreamed of making enough money from our homestead to not only cover expenses but also allow my husband to quit his current job and be at home with us and running the farm together. Over the years we’ve dabbled in quite a few areas and earned money in a variety of different ways. We’ve sold eggs from chickens, ducks, and quail- both for eating and for hatching. We’ve sold goat kids. We’ve sold produce. I’ve sold lip balms and salves and feather earrings. We had a space at a local tailgate market. And many, many more. Through the years of farm sales a front runner emerged that was surprising. What was it? You are reading it. This site, The Free Range Life, which is my section of the world wide web where I try and teach people about the life we live and how they can do it too, makes more money for our farm than the actual farming does! And with less expenses too! And I am not talking change- I am talking a nearly full time income- almost enough to allow my husband to quit his job kind of income. That’s the beauty of the internet. If I were to teach on-site classes about homesteading. I would have a lot of expenses. I could only reach local people and only teach a limited number of people at one time. But online, expenses are low and I can teach the whole world about raising goats or gardening and make a difference for that many more people! I see a ton of posts asking how to make money from your homestead. 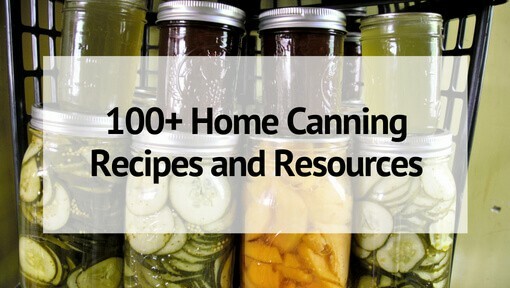 Hey, I even have one myself on 100+ Ways to Make Money as a Homesteader from Home. But to make that money you need to diversify. You can’t put all of your eggs in one basket- you have to have multiple income streams and online income streams are often overlooked. If you love to write and teach others- blogging might be just the thing for you. And you don’t only have to write about homesteading! You can teach about whatever it is that you are passionate about- parenting, gardening, fashion, art, photography, sewing, ANYTHING! First are 2 books written by fellow homestead bloggers. So if homesteading is your passion and you want to write about farming, preserving, raising livestock, etc. 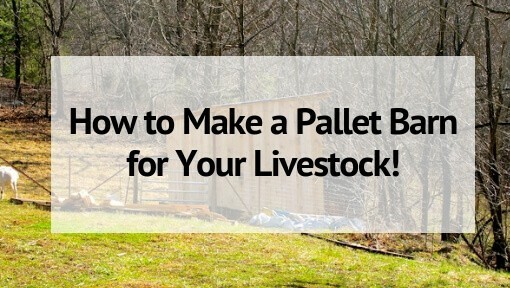 You can be sure that these tips will work in the homesteading niche. Of course they will work in just about every niche….but it’s always helpful to see how those in your area have grown! The first is Zero to 10,000 in just 30 Days, written by fellow homestead blogger, Anna Merhalski from Salt in My Coffee. She gives some amazing tips on how to grow a new baby blog from ZERO traffic to 10,000 Pageviews in just 30 days. This book comes from the trenches and she shares everything she learned as she grew. Sometimes those first 10K pageviews are the hardest to get! The second is Make Money Blogging- at Any Level which was written by a fellow homestead blogger, Victoria, from A Modern Homestead. This book will show you that you don’t have to have huge traffic to make money blogging and she’ll share how to leverage the pageviews you DO have to start earning as soon as possible. Each of these resources will make sure you are off to a great start and are on your way to making a profit that much sooner! Blogging is one of the cheapest ways to start a business and work from home! There’s hardly any risk and so much to gain! Hi! I have been really interested in starting a blog. I am a fourth generation rancher. We have about 200 head on a 375 acre ranch on the beautiful Fall River. Which is located in a Northern California valley between Lassen and Mt. Shasta. We also raise chickens, ducks, and pigs. We butcher own own meet, grow our own gardens, and preserve it. I am a baker and sell my baked goods. I also have a airbnb bed and breakfast and meet lots of new people. My mother is a dietician and loves teaching people about food and health. We are avid cooks and I am in the process of writing my own cook book. I also have two daughters, one of which has a heart transplant. She received it at Stanford when she was four months old, she is now six. I also have a ten year old. I have been thinking about blogging about our day to day life. What do you think? Is it rewarding, and how do you get paid for the blog. I guess I just don’t understand how it works. I was hoping you could help me understand. Thank you for your time. I find it rewarding- I am a writer at heart and blogging is a way I can do that from home. And its a way I can teach without all the anxiety that standing in front of a crowd causes me! You can make money in a variety of ways- ads, sponsored posts, being an affiliate for others’ products or creating and selling your own products. The book I mentioned goes over a lot of those options. I think there’s a bit of a difference between blogging about life than professionally blogging for profit (though some do both successfully) If you just want to write about life without caring too much about profit you can start at blogger.com- which is free to use. You are just at the mercy of their platform- and if they decide to shut down your blog goes with it. But it is a good place to start and move to paid hosting if and when you are ready. Hi Sarah I’m curious what “tools” you have in your arsenal for blogging. Do you use a mac or windows based system ? Any special camera, phones, software, etc.? I own a successful business and recently bought a homestead in the Adirondacks (NY) which is about 3 hours north of my business/main home. In the next 6 months I’m hoping to cut all ties here and move full time to my farm and write all about the move. Any advise as far as your go-to technology would be greatly appreciated !!! All the best and keep writing, I enjoy reading your blog. Technology wise I am not sure anything is a must! I have a not-so great desktop and an ancient Mac. Eventually I will upgrade- but they work just fine. A good camera is a good idea, but again not a must (My good camera broke a few months ago I am left with my iPhone 5 and it has to suffice at the moment) Though if you are a DIY or Food blogger a really good camera is more needed. Really there is so little you MUST have for blogging. The only thing I really recommend is what I mentioned in the article- hosting and a domain name. Other than that WordPress.org is the platform I would recommend- it’s free with your hosting. Good luck! Can’t wait to read once you get started! Hi Sarah, I have thought about blogging for SO long. Feel like I need a “1, 2, 3…” step approach. We live on 15 acres with honeybees, goats, chickens and we are launching our permaculture planting (nuts and fruit trees with elderberries interspersed). We are aligning our resources to have a Grade A goat dairy in the next few years with probably 15-20 milking does for making cheese. However, I am an event planner at my company and I also do a lot of international traveling. I have seen so much interesting homesteading around the world. I wonder if there is a market for both of those topics or if I should be thinking of 2 separate blogs. Any advice would be greatly appreciated. I would say if you can do it on one blog then do that. Hosting, writing, etc for more than one can be very time consuming! There are a ton of resources out there- both free and paid that can help you get started. Good luck on your dairy! That was something we thought about a few years back but ultimately decided against. Feel free to email me with any questions if you decide to make the leap into blogging! Regarding the dairy life, in the state of Texas you must have deep pockets. There are fees for doing paperwork and fees for inspections and fees for monitoring equipment. It’s quite expensive AND if you want to sell raw milk it can be risky. So, we decided to go with a breed of goat that sells well for pets and meat. Now, I can hear the outcry raising meat goats. But we do eat meat whether it’s beef, chicken or hose cute piglets. Janet, don’t make apologies for raising meat goats. Lol. Real farmers know that critters raised on the farm are usually food. Foregive my ignorance, but what’s with the 10,000 page view mark? Hi Sarah, my name is Joe. I’m really interested in blogging. My family and I live ona little less than 3 acres. I have a lot of health problems and it had more than taken its toll on our finances unfortunately. I was looking for something low impact to help supplement our income for the time until I can get a homestead fully established. We currently raise meat/pelt rabbits to help fight a grocery bill. I’m looking at doing a good bit of gardening and possibly taking on a feeder pig and things like that to get us started as well as with about self sufficiency and bush crafting. I’ve read some of your material and you have a wonderful approach to sharing your knowledge. I was wondering if you might have some advice for a starving man out of his element as far as publishing something like a blog, especially for the means of turning a profit. We are located in Central GA so there is a wealth of photo/video ops with fair weather for doing it most of the year as well as people interested in learning. I would just really love to utilize wells of knowledge where I find them to keep from repeating the mistakes that made them wise. Thanks so much Sarah, happy writing and best of luck to you in your endeavors! Hi Joe , Sorry to hear about your health issues, but there is one low cost way to address many of them, besides making extra money to pay doctor bills ! Actually , I know a few people in GA that may bee to help you free of charge . Intrested! We have a small farm raising horses, donkeys and chickens not forgetting dogs and cats. We have seasonal vegitable gardens and I have an antique booth that features all kinds of old cowboy, cowgirl, western items. Our farm has a western ranch theme that I love collecting and decorating with the old old west items . I have taught preschool for the past 18 years but would like to retire soon. I cant do that unless I have some sort of sustaiable income to keep the horses and chickens. I have started a blog. but its just sitting there doing nothing. I just don’t know where to begin or focus. Or how to come up with a schedule of what Im going to write about??? ??? I have a blog, ontheology.com which I started a couple years ago and stopped. I’ve been thinking about getting back into it but in a business manner. I am also pondering starting an additional blog about gardening and homesteading from I could market my heirloom seeds! Hello. Your blogging income is amazing!!!! So inspiring! 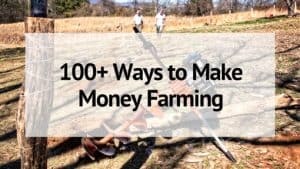 I just read prior to the blog info, the 100+ ways to earn money farming…. We do so many of the offered suggestions, but it’s still a struggle and challenge to get a head and be profitable. I’ve been on the farm full-time now for 2 years, but the goal is for my partner to be able to quit her full time job as well. We do have a blog, but not getting many views. We do Share it on all of our social media and website. If you have time, please check it out. Thank you for your time. HI – I am originally from America and my husband is from New Zealand, and we live in the Fiji Islands, we have lived here for nearly 20 years. In December last year we moved onto a 5 acre property (an old sugar cane farm) and into our half finished house and completely unplanted land. Along for the ride are 5 kids, ages 12-16 (three biological and a niece and nephew of mine that we are now the legal guardians of) and two Rhodesian Ridgeback dogs. My husband is busy running his own boat building business and I have hopes of turning our currently very large mud & weed farm into a flourishing peice of property with fruit orchards and gardens galore. We want to be self sufficient as well as make an income off our of property. Once we have time to create the spaces we will add chickens, ducks, goats and maybe some sheep.I dream of having an Air BNB and foreign students home staying with us. I do a lot of preserving of local produce and am a hobby artist. I have often thought of writing a blog ( i am still stuck on coming up with a name for it) but have no clue how to make money off of it . I am excited by the prospect though. But i think there may be people who could find what we are doing interesting. I have tried and failed before at internet based business so i guess its fair to say I am lacking confidence when it come to the internet. Any and all input would be greatly appreciated. I have saved your Pintrest post and will reread it and try and go step by step. Blogging is fairly risk free with not a lot of associated costs. Feel free to email me at thefreerangelife@gmail.com if you have questions! Hey! I have toyed with the idea of starting a blog since the beginning of blogs. I love to write and share. My problem is that I have so many interests and I am the most indecisive person on the planet. I haven’t ever been able to decide on a name or a niche or so many other things. I finally jumped in this year and started a site called Across the Cattle Guard. Part of me feels like I’ve made progress but part of me feels like I’m never going to get anywhere! I love to read and learn but focus and time are an issue for me. I have 4 littles, we homeschool and have a farm to care for. I will check out some of these resources and maybe get inspired on the next steps to take! I get the time and focus issue- I’ve got 6 kids, homeschooling, and a farm! Blogging isn’t quick but I like that it is something for me. Feel free to email me with any questions! Hi my name is Jessica and I would love to know more about blogging….I am a homesteading, homemaking, homeschooling mom who would love to make some extra income sharing what we do here on our homestead. Feel free to send me an email at thefreerangelife@gmail.com and I can help answer any questions! A friend and I are trying to start a blog. I would love to eventually be able to live off my homestead. I have graphic design skills from previous work, but I am currently a teacher. I am passionate about hard work and getting my hands dirty 🙂 I love great photos and I’m growing as a writer. Check out our blog and let me know what you think! I know I don’t post nearly enough… but teachers are busy and finding the time is hard when I work full time. How did you make the switch? Cold turkey? Just quit your job and work on the blog? Or did you run yourself ragged trying to get more self sufficient while you were working? Your site looks beautiful! Yes- it does take time. I didn’t quit- I actually stay at home with my 6 kids, run our farm, homeschool the kids (grades 1-12). So I blog during our hour quiet time and at night after they go to bed. I’ve had my farmhouse blog for a little over a year, which I started for the simple fact that I love writing…but I would love to make it my profession this year. Any tips, advice or collaborations you’d be willing to give would be so much appreciated! I’d be happy to give you some tips and advice. It’s a little hard to do in a comment- but feel free to email me with specific questions or anything! Hey! Really great article! So helpful and informative! My wife has been wanting to grow her blog and is in the beginning stages of doing so. I have shared this post with her and she is excited to go through and start implementing some of your advice. If you have a free moment check out her website! It’s sageandpeonies.com ☺️?? It’s a beautiful site! Feel free to email me with any questions. I’d love to help her grow! Hi! I just started my blog/website called Back Yard Farm Life and loved your story about getting started. 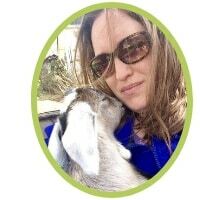 I have both the books you mentioned and get helped a great deal…I’m very new and green at ALL aspects of blogging and social media but am learning and loving it…my site is http://www.backyardfarmlife.com and I also have Pinterest, Facebook and Twitter…I’d love for you to check it out and give me feedback! Hi my name is maisen, my family and I live on a 25 acer farm. We have 1 indoor rabbit and 1 outdoor, 1 lizard, 1 mouse, and 1 dog. Plannin on getting more in time but for now its okay. Being here for only a year now and learning new things. 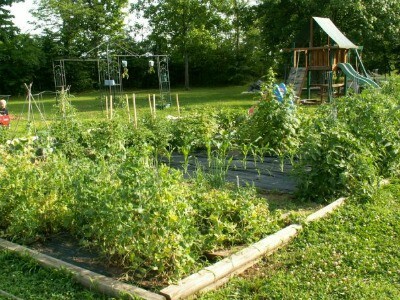 Needing to figuer out my garden for nxt year and get it ready to go so everything can grow eual. I’ve been feeding my quail high protein feed but it’s expensive. What other options are there? This is my 1st year to raise quail and partridge. I have them together in a 12 x 20 pen. It’s 10 ft high. The quail are as calm as chickens but they’re expensive to feed. Hi, I recently retired after teaching young children for over 40 years. I have to always stay busy and I’m constantly doing something. I’ve always loved to cook and I make a variety pepper jams and jellies. I don’t have a farm, God it’s been a life long dream but alas in the suburbs I reside. I decided to see if others thought the same about my jams and jellies. So I’ve been going to the local craft fairs and farmers markets and guess what, I’m not the only one. If they taste, they purchase. I share with them all the ways I use them in my cooking etc.. I’ve been so excited I can’t sleep thinking of how I can reach a bigger audience and ways to share what I know. I’ve been searching for ideas and somehow I ended up here in your site. This is awesome, surely I can do this without a farm right? Want to know more. I am a firm believer that homesteading is more about heart than location. And you can build an audience and share you knowledge on just about any topic. I am actually just starting a sister site, called Profitable Homesteading and the first thing we plan on teaching is how to market your knowledge to share your message and create an income stream. What if you can’t narrow down your ideas? I feel like a squirrel. Does your blog need to be about just one main thing or can it cover a whole range of ideas from recipes to crafts to cleaning etc…how much time would you say you put into your blog daily? I feel like I may have missed the boat with blogging and now it’s too late to start bc the market is saturated with bloggers. How will I ever stand out?